Darius Rucker expressed genuine amazement and gratitude last year when he accepted the CMA award for “Best New Artist,” and with good reason. His win was the white country music industry’s first major acceptance of a black artist since Charley Pride, and of someone who had already made it big in both pop and (the final days of) AOR as the voice of Hootie and the Blowfish. With his new release, Charleston, SC 1966, Rucker and producer Frank Rogers have wisely gone back to the well that led to that award, deciding there’s no sense in fixing something that isn’t broken. As with the platinum Learn to Live, Rucker’s breakthrough Nashville CD, Charleston, SC 1966 features a group of fairly hummable songs written by some of Music City’s best-known tunesmiths. Most of the songs here are decent, written by Rucker with such talents as Don Sampson, the excellent Radney Foster, and even former American Idol judge Kara DioGuardi. But it’s almost inexplicable that the album’s lead single, “Come Back Song,” even made the album, much less a coveted single spot. With its lackluster opening lines “I woke up again this morning/And wouldn’t you know it’s pouring rain,” this song – written by Rucker with usually amazing writers Chris Stapleton and Casey Beathard – would have had most music publishers pushing the “next” button before it even got to line three. If nothing else there’s volume here, with 13 songs. “Southern State of Mind,” by Rucker with Ashley Gorley and Chris DuBois, is a great observation about how folks in other geographic areas view Southern manners and tradition. “Whiskey and You,” by Rucker and Rogers, may be the closest thing to a “real country” song on the record, with steel, fiddle and a succinct chorus about heartbreak and alcohol that we’ve heard a million times but still works very well. Brad Paisley helps out with the vocals and his unmistakable guitar on the rather silly “I Don’t Care,” which should make it to radio just because of name recognition. Bluegrass instruments are in great supply, though not in much of a bluegrass context. Three-quarters of the old New Grass Revival – John Cowan, Bela Fleck and Sam Bush – show up for the track “Love Is Like That,” and multi-instrumentalist Ilya Toshinsky, late of the Russian country/bluegrass group Bering Strait, plays various instruments on several songs, so good players definitely aren’t in short supply. 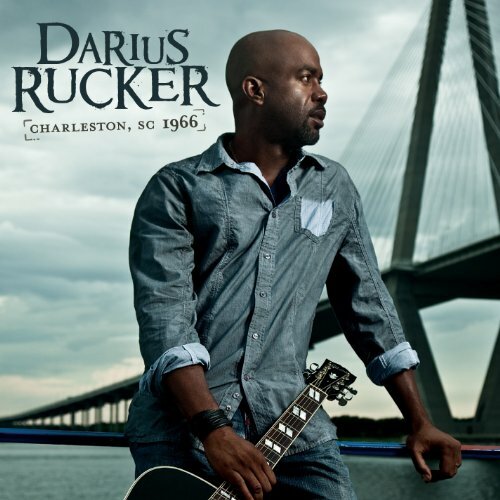 And after all, what musician who turned on a radio on in the mid-‘90s wouldn’t want to play on a Darius Rucker record? In the end, Charleston, SC 1966 doesn’t break any rules or new ground, and probably wasn’t meant to. It features songs with Rucker’s stamp and the polish of people who write every day for a living, combined with great players. It’s obviously calculated to appeal to the million people who bought Learn to Live, so if you’re one of them, you’ll probably like this record.